Do You Care About Building Wealth? I started investing in my 20’s and continued non-stop, through thick and thin. My husband and I reached our retirement goals a few years ago, and I want you to understand just how easy it is to amass hundreds of thousands of dollars for retirement. If you would like the freedom that comes from knowing your future is in your hands, then you want to continue reading. You’ll learn a few tidbits about money that can catapult you to long term wealth. So read on for a quick interview intertwined with several actionable tips to get you on the path to lifelong wealth. 1. What are the biggest financial mistakes people make? When you’re young, you think you don’t have to worry about retirement, so you put it off. As you get older, you think it’s too late to save for retirement, are enjoying your current lifestyle, are scared about the future, and avoid thinking about retirement. 2. What is the best financial step one can take to ensure a successful retirement? Immediately, set up an automatic transfer from your paycheck into a retirement account. Transfer 10% of your income to go directly into either you employer’s retirement plan or your own Roth IRA. 3. What if I’m already 38 and haven’t started investing? I make $65,000 per year, how much could I have by the time I retire? Assume you want to retire at age 66, that’s 28 years away. If you invest 10% of your salary or $541.67 per month in a diversified portfolio of stock and bond mutual funds and earn 7% per year, at retirement you will have $541,666. And if you avoid starting now, and wait another 10 years, your nest egg at age 66 you will have $234,668. Waiting 10 more years slashes your potential retirement funds by more than half. Don’t delay, start saving and investing now. And if your employer offers a match, even better. Your money can grow even faster. 4. What if this is too hard for me? Are you willing to try for a month or two living on less? If it’s too hard, you can always stop the investing. I suspect that if you give it a try and visualize a more relaxed retirement, you might surprise yourself. 5. Did you invest when you were first starting out? When we first started out, my husband was in school and I was working. His tuition was high and my salary wasn’t. In spite of that reality and the high tuition bills we lived in a small apartment and contributed to my workplace retirement fund. I’m not certain, but I think over the 9 years I worked at San Diego State University, I invested about $350 per month for a total of $37,800. I never invested in that particular account again. Today it is worth over $150,000. As we think about our retirement, we also remember the fun we had discovering creative ways to save. We hit the happy hours with free hors’doerves for our entertainment. We rented videos (yes there were videos back then). Several times per month there were pot luck dinner parties with our friends. Look at saving and investing for the future, not as a sacrifice, but as an adventure with a delicious prize at the end. This prize is the freedom to enjoy your later years and do as you wish. 6. Can you recommend a Free Investing Resource to help me get started? I’m pleased that you asked. We just launched How to Invest and Outperform Most Active Mutual Fund Managers (a $9.99 value). This is a great step by step resource to help with “best practices investing”. As a DINKs reader you have Free access by clicking on the book title above. (There’s a quick sign up, but don’t worry no spam and you can always unsubscribe after you get the book). Investing is one of the best ways to build lifetime wealth and create passive income. If you haven’t started yet, begin now. If you have, keep it up! 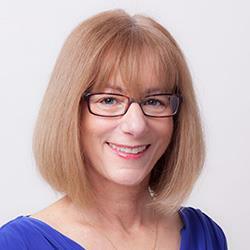 Barbara Friedberg, MBA, MS is the publisher of the respected money website, Barbara Friedberg Personal Finance.com, a portfolio manager, and former university finance instructor. As always great advice Barb. The benefits of starting to save for retirement as soon as possible can’t be over emphasized. The math is indisputable. Time is the biggest advantage there is in saving for retirement. Its hard to get consistent returns – that is assuming a 7% return consistently year by year can be very difficult. What does make sense is the time value of money. The more time you have the better you are able to bounce back from financial shocks as well as correct your mistakes. James I agree that linear returns of 7% or any other number are not going to happen. In fact any modeling that assumes linear returns is, in my opinion, inherently flawed. The “secret” from my experience is regular, consistent investing in all markets, having a plan, and adjusting and revising that plan as your circumstances might dictate throughout your life. Roger – I couldn’t agree more! Next post: Tenant Nightmares: Have You Seen My Snake?